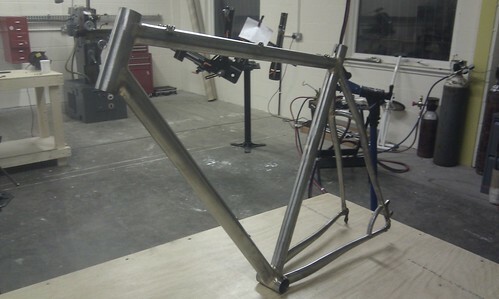 Here’s a quick sneaky look at our production cyclocross frame ready for paint. Excuse the crappy camera-phone pics. 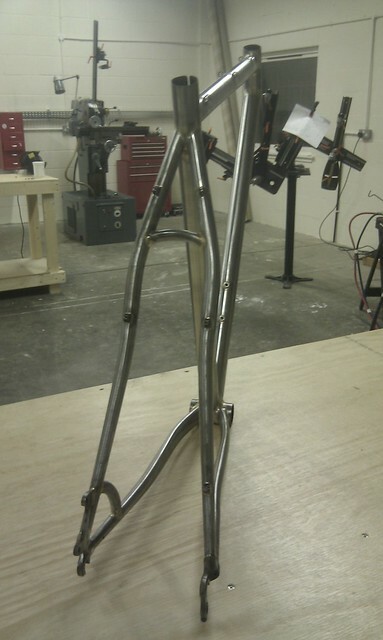 All production frames are configurable for any braze-ons. 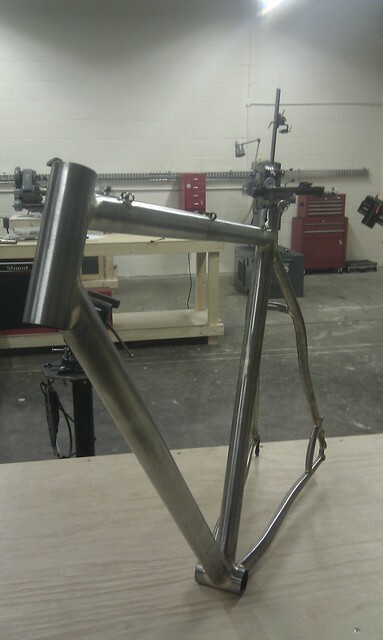 This one’s getting a single bottle cage mount (I know!) and routing for a 1×10 drive train. Twist our arm and we’ll put cantis on it instead of disks. We’re officially launching these at Bespoked Bristol but we’re taking pre-orders now. Call or email for more details.